After many years writing novels for adult readers, I had an idea for a story which seemed more suited to a teenage audience. It opened with a newspaper delivery boy seeing a ghostly face at the window of an apparently deserted house. Its title, unsurprisingly, was The Face at the Window. I never wrote that novel, because I realised not too far into a first draft, that the rest of the story was rubbish. So I wrote Flip instead. This began with a fairly simplistic idea about swapped identities, two look-alike boys agreeing to switch lives and impersonate one another. From that rather unoriginal starting point, the somewhat different plot evolved that eventually became Flip. As a teenager, I didn’t much like myself. I often wondered what it would be like to be someone else. Someone better looking, more popular, more athletic, more successful with girls. Someone who didn’t have asthma. Real life never made that possible so I created Alex and let it happen to him. Twenty Questions for Gloria is the story of a bored and restless 15-year-old girl enthralled by the mysterious, exotic new boy who strolls into her classroom one morning, bent on breaking all the rules. Funny, confident, smart and reckless, Uman is everything Gloria wishes to be. The set-up is thriller-like but what’s impressive about this story is its realism. What looks like an endorsement of thoughtless rebellion becomes something deeper. Yet under it all is a golden thread of romance. This book has been written in a really unique and interesting way. [It] feels like it should be a Sherlock Holmes style novel and I mean that in the best way possible because it has that allure and mystery, and yet still keeps it humble with its quirky characters, romance-on-the-side . . . it’s an amazing novel to read. This whole story is emotionally perceptive and impeccably written. It deserves to be read. Bedford perfectly captures the language, playfulness, sensibilities and fluctuating moods of teenagers – without ever being patronising – as well as their contradictory sense of restlessness, confusion and certainty, all conveyed with a lightness of touch, plenty of humour and a strand of tender, tentative romance. Thriller fans will be as enthralled by this book as Gloria is by Uman’s free-spiritedness. It’s exquisitely plotted and the existential undercurrent gives it an additional edge of intrigue. An absorbing psychological thriller. This novel makes a refreshing change from all the ‘noisier’ YA fiction currently on the market. It is a clever, compelling story with fully realised characters who don’t have to wield a weapon or possess super powers in order to engage the reader. Martyn Bedford cleverly combines mystery, thriller and coming-of-age elements in this novel, making me want to change my life in some way or another and to never think inside the box again. The witty banter between Gloria and Uman will appeal to teens who love books with quirky dialogue and zingy one-liners, which also provide a refreshing and authentic counterpoint to the darker themes that run through the story. Martyn Bedford’s first young adult novel, Flip, won multiple awards and Twenty Questions for Gloria seems destined to do the same. Bedford writes beautifully. Twenty Questions for Gloria throws you into a shroud of secrets and mysteries right from the get-go. This book had me in its trance. What a fantastic book! Martyn Bedford’s writing is incredibly suspenseful and gripping, and once I started reading Twenty Questions for Gloria I HAD to know what would happen next. Martyn Bedford’s characters are exquisitely written and he does a really great job of delving into the teenage psyche. This beautiful exploration of young love, resilience, self-examination and discovery will have both teens and adults smitten. A heart-pounding, edge of my seat, tantalising thriller. Before I started the book, I was in a horrifyingly dull reading slump . . . this broke me out of it! I was begging to see what happened next, it physically pained me to put it down. This is such an amazing book. This is an outstanding novel which poses big questions while immersing the reader in a fast-moving narrative. An unusual and rather wonderful story… a book about living life and not allowing it to go by. This book is wonderful in so many ways. Bedford’s writing is moving and witty and the way the story is told creates drama and mystery, leaving you on the edge of your seat. I hope that every Y.A. reader takes the time to be sucked into the brilliance that is Twenty Questions For Gloria. Twenty Questions for Gloria has been a resounding success with the teenagers of Coventry, no doubt due to the vivid, relatable characters Martyn has created, but also thanks to the artistry of this complex and thrilling plot. This is a coming of age tale with a twist. A gripping tale that I was reluctant to put down. It should definitely be on your reading list. I really enjoyed this book. I was hooked from the get go. Sneak preview . 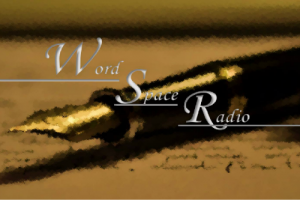 . . to hear me read an exclusive extract from Twenty Questions for Gloria, please click on this link to a YouTube podcast of an interview I did for Wordspace Radio at Leeds Trinity University. The first part of the podcast features a reading and a discussion about the book. I was absolutely hooked from the start. The relationship between Nikos and Shiv is very different than any love story I have read. Just grab it and read it! Siobhan’s family is close and loving, and their holidays together indulgent and laughter-filled, until the last one in Greece, when she builds herself a secret life with a local boy, and tragedy follows. The pace is perfectly judged so that readers leaf through the holiday album with breath held. A slickly moulded thriller . . . Martyn Bedford’s Never Ending [is] a sophisticated account of how a teenage girl deals with the death of her brother. Bedford engages successfully with the teen psyche and deals sensitively with his troubling subject matter, while precisely evoking family dynamics and the sweltering confusion of adolescence. Addictive and harrowing from the outset, Never Ending is an acutely observed, meticulous rendering of a mind in crisis and a family at war with itself . . . utterly arresting reading. What can I say once I’ve said I wish I’d written it? It’s the greatest teen novel ever to come my way and I don’t expect to find a better. Beautiful and illuminating. The characters and the scenery are rendered with such photographic precision that readers will feel as though they’re watching a film. They’ll also find Bedford’s compellingly blunt, sharply drawn narrative sometimes too painful to read. The results, however, are absolutely worth it. The author does a lovely job of highlighting the in-jokes, good-natured ribbing, and high-running emotions of a family on vacation, and he draws out the mystery behind what actually happened to Declan, creating a tension that will keep readers curious until the final page. Bedford skilfully pushes and pulls at the reader’s emotions while carefully revealing the details of the backstory and the aftermath until the two converge. Hand this compelling novel to readers who thrive on complex narratives. An edgy, brilliantly told story with a strong teen-girl protagonist. An unforgettable story that will stay in readers’ minds long after they finish the book. Martyn Bedford explores the raw edges of bereavement and grief in a funny, moving, no-nonsense and yet supremely sensitive novel. Never Ending is a journey to hell illuminated by the bright promise of redemption. Beautiful and beguiling. Such narratives can easily descend into gratuitous pain, but Martyn Bedford writes far too well for that . . . [a] fine and serious novel. Martyn Bedford’s new book for teenagers is relentlessly thrilling. Never Ending will keep you glued to the page with anticipation as it plunges you deeper into Shiv’s grief. An honest and truthful account of grief and healing and all the characters are so well drawn that this becomes an intense reading experience with genuine psychological insights for thoughtful teenagers. Never Ending grips the reader in an emotional vice. I highly recommended this book. Never Ending was beautiful inside and out and was definitely a hook, line and sinker for me. I cannot wait to read more from Martyn Bedford. A brilliant and wonderful read that I would easily recommend to others. It is incredibly well-written and I was, quite honestly, taken aback at how invested I got into the story. The plot and characters are so good and believable that, when I was reading it, I couldn’t believe Bedford had thought of this amazing idea. Young Adult Library Services Association – Best Fiction for Young Adults (nominated). Kirkus – Best Teen Books of 2014 (listed). UK, Walker Books, March 2011. U.S. edition, Wendy Lamb Books (a division of Random House), April 2011. One morning 14-year-old Alex wakes up to find himself in the wrong bedroom, in an unfamiliar house, in a different part of the country. Six months have disappeared overnight. The family at the breakfast table are total strangers. And when he looks in the mirror, another boy’s face stares back. A boy named Flip. With no idea what has happened, or how to switch back again, or who “he” is anymore, Alex finds himself in a deadly race against time to save himself from being trapped forever in the wrong life. A serious contemplation on what constitutes the soul. Flip swept us all along. Thanks to Martyn Bedford’s masterly balance of tension and wit, this unique fusion of the surreal and the everyday proved utterly convincing. Flip is an amazing book. The plot is thrilling and the characters are superb. I absolutely adored this book . . . a must read. Flip is a funny, creative and amazing read. Readers will be catapulted headfirst into Alex’s strange new world. What is a soul? Where does it go when its human host ceases to function? Bedford adeptly sweeps the existential curtain aside and tackles these heavy questions as the tension soars. An enthralling novel . . . an enticing mystery. The set-up is a very familiar scenario for sf/fantasy readers but Bedford handles it in such a way that it feels like we’re visiting it for the first time. Highly recommended. Flip is also published in Canada (Doubleday), and in translation in Italy (Mondadori), Germany (DTV), the Netherlands (Gottmer), Thailand (Tawansong), Russia (Kariera Press), Taiwan (Global), China (Changsha Senxin) and Poland (Foksal), along with audiobook editions in the UK (Audible) and the U.S. (Brilliance). Won: Sheffield Children’s Book Award; Calderdale Book of the Year; Bay Book Award; Immanuel College Book Award. Shortlisted: Costa Children’s Book Award; Angus Book Award; Coventry Inspiration Young People’s Book Awards; Essex Book Award; Hull Book Awards; Leeds Book Awards; The Big Sandwell Read; Yorkshire Coast Book Award. Longlisted: Carnegie Medal; Branford Boase Award; UKLA Children’s Book Award. School Library Journal – Best Books of 2011. Young Adult Library Services Association – Readers’ Choice Nomination. American Library Association – 2012 Quick Picks list. Bank Street College, New York – 2012 Best Children’s Books of the Year. International Reading Association – Young Adult Reading List 2012. Texas Library Association – Texas High School Reading List 2012-13. Arkansas Teen Book Award 2013 – nominated. Isinglass Teen Read Award (New Hampshire) 2012-13 – nominated. Note: for my teenage/young adult novels, I am represented by Stephanie Thwaites at the Curtis Brown literary agency in London.